This is the first in the Madison Avery series and I really enjoyed it. You can read an excerpt at the link as well as browse inside the book. I got it signed during the Supernatural Summer tour. +1 - comment with email address telling me why you want this book. +1 - you start to follow me. +2 - you are already a follower. 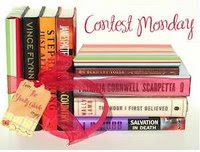 Contest will run until Sunday, June 28, 2009 at 11:59 pm. Remember tell me why you want it and leave your email address. Leave your following information in a second comment. Thanks! Good Luck! I really weant to read this one. It just sounds like fun, and I'm curious b/c some people love it and others didn't really like it..so I want to try it out. I LOVE the cover and paranormal books are awesome. Don't Forget about the YA Book Carnival on my blog. Link your contest for more people to enter! +1 Why I want this? Well, I'm a huge fan of Kim Harrison and although I've already read this book, I want it! I just love her style of writing and can't wait for her ton continue with this series and her adult series as well. +2 Already was a follower. I really want this boook because of the idea of the plot being about reapers and guardian angels and all that! I really enjoy things like that! Oooh... Excellent giveaway! Please include me in your giveaway--mostly because I am a lover of books and I've been wanting to get my hands on this one. Please enter me. I'd like to win because I don't have anything like it in our library and I strive to provide as much variety as possible. I want to give a girl a reason to read a book. Thanks. I'd like to win because the story seems interesting. I'd love to win this book because it just looks awesome! The cover is great and I've heard the story was good too. +1 I want this because it sounds really good and has a cool cover. Plus, I think the title is kinda funny. Like Shoot Stars Mag, I've known some to love it and some to hate it. I am always looking for recommended books to read. This book sounds really good. Please add my name to your giveaway list. And I do follow your blog/recommendations. Thanks. This book is on my wishlist. I really want to read it. Please include me in your giveaway.